Have an old shed full of old junk? No problem. We’re here to help you free up space in your shed. We will even TEAR DOWN THE ENTIRE SHED and haul it away! A backyard shed is a common place to store yard equipment, supplies, fishing poles and all kinds of things. You’ve probably had a shed on your property for many years that’s taken a beating from the elements. At this point your shed is either too messy to use or it’s time for it to come down. Junk Boss can help during your shed clean out and even tear it down if need be. Everyone’s primary use for a shed is different. Maybe you need it to store yard equipment or a couple of awesome dirt bikes. Most of the time though, it ends up filled with lots of other items too. They’re probably things you don’t even need anymore, but may not know what do with them or how to dispose of them correctly. Junk Boss can help you remove any junk you don’t need from your shed. When our professional junk removal team shows up, all you have to do is point and we haul! We can also sweep and clean the area once we’re done. After many, many years of standing up to the toughest weather conditions, it may be time to remove your old shed. 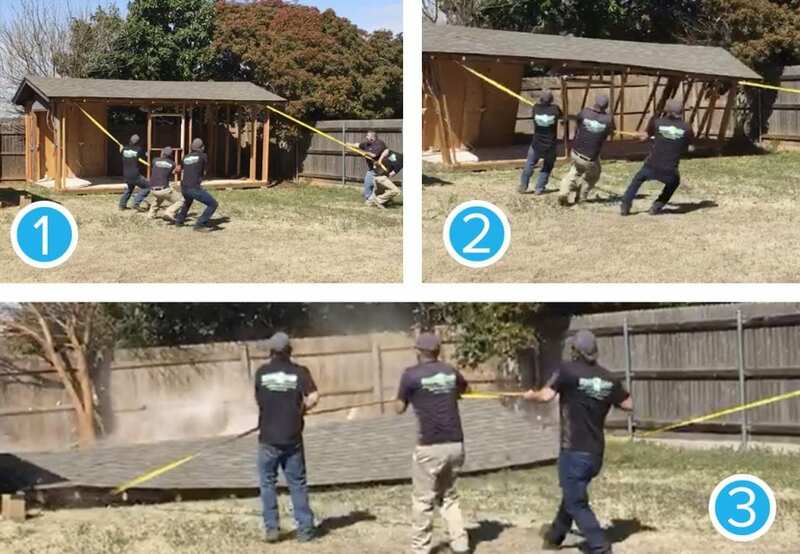 Whether you need to make room for a new one or you don’t have a need for the shed anymore, we can professionally and safely tear it down for you. Sheds can be made up of a number of materials such as wood, aluminum or even resin. Sheds can also be constructed many different ways. Then you have to figure out what to do with the remaining debris. These factors make it extremely difficult to tear down and remove a shed as a do-it-yourself home project. Call Junk Boss to tear the shed down for you! From demolition to debris removal and disposal, we will complete the project from start to finish. Give us a call today if you have any questions or need a quote!